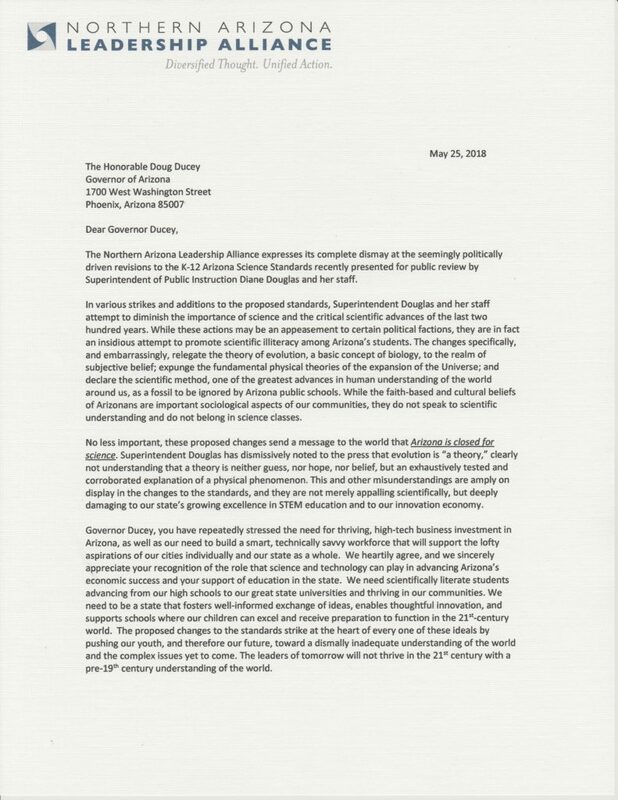 The Northern Arizona Leadership Alliance (NALA), a member of the LAUNCH Flagstaff partnership, has written a letter to Arizona Governor Doug Ducey explaining their objection to many of the proposed science standards changes. 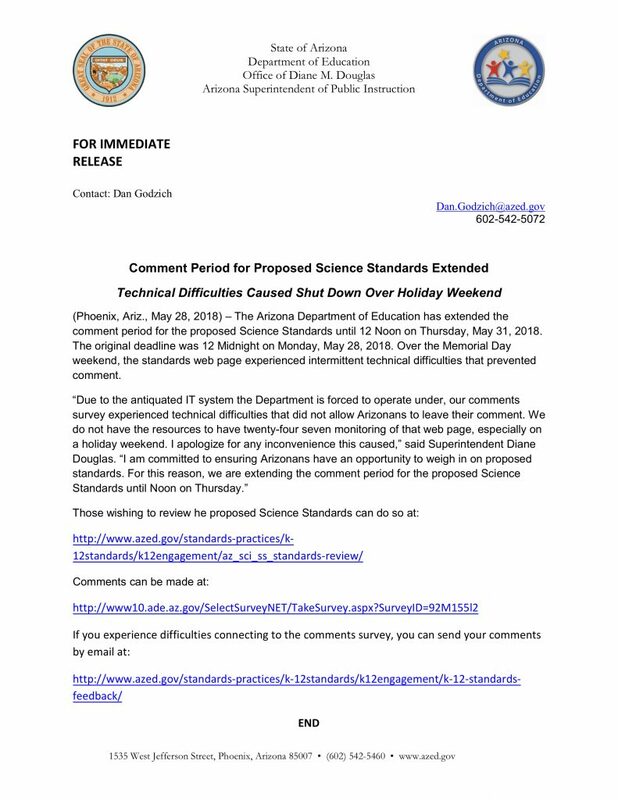 Comments on the proposed revisions are planned to close on May 28, 2018. After that working groups of educators from across the state will review the public comments and make final recommendations to the standards for board approval sometime in the fall of 2018. In that process there are expected to be additional opportunities for public comment. 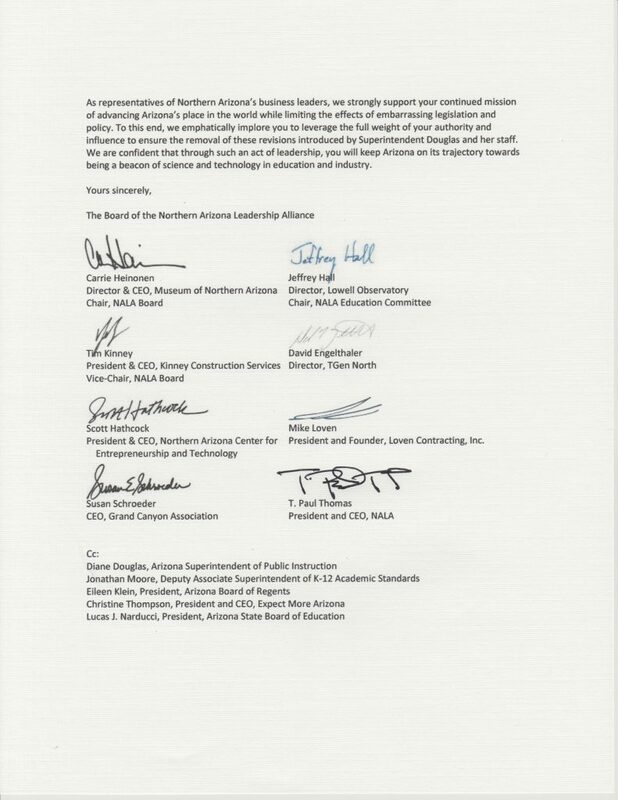 UPDATE: Here is a statement by the Arizona Department of Education issued on May 28, 2018. View the revised standards here.